Badly needing enough Â presence Â to enforce maritime safety, but cognizant of how they are thinly spread all over Bohol, the Philippine Coast Guard (PCG) suggests a designated common pick up station for tourists off to island hopping and dolphin and whale watching tours in Panglao and elsewhere in the province. PCG Tagbilaran Station Commander Benjie Quinisio told listeners at Kapihan sa PIA how hard-up they are in enforcing marine safety, especially with most for hire boats operating in Panglao and Dauis own no proper registrations and are deemed illegal. And just like stations installed in Boracay, a common departure stations in Panglao can help a thinly spread PCG better monitor the operations. “We have men assigned in ports all over Bohol and in Panglao. But when you have kilometers of beaches where resorts organize island hopping and dolphin and whale watching tours, it spreads our area of coverage. With some illegal unregistered boat operators picking their guests just anywhere, it is a cat and mouse game,” shares a member of the PCG, explaining what Commander Quinisio meant. 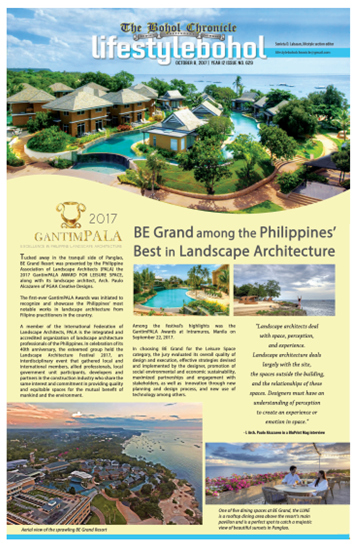 In Panglao island alone, tourists can embark on individual resorts, some as far as Dauis coastlines, Panglao beach stretches like Dumalu-an, Bohol Beach Club, Alona, Daurong, Doljo, Looc and even in western Dauis coasts, at the same time-between 4:30-10:00 AM. Mandated to protect the voyages of passenger laden vessels in domestic waters, the PCG is duty bound to perform marine safety operations to help prevent or minimize loss of lives and property. A Marine Industry Authority (MARINA) registered boat carries with it all the safety regulations imposed on all vessels for hire in the country and packs insurance liability packages for boats and fares. Also, the PCG is tasked to check on theÂ seaworthiness of every vessel leaving the port via an intensified Mandatory Pre-departure Inspection which includes the compliance of vessels to safety standards and prevention of vessels from sailing for failure to comply with the standards. The marine watchers also conduct random Emergency Readiness Evaluation and Operational Readiness Evaluation in the ports, conduct regular vessel safety inspections. But with only about 70 men assigned in BoholÂ doing port duties in Tagbilaran Port which has Panglao and Loboc-Loay, Jagna, Ubay, which also serves Tapal and Popoo, Talibon, which also serves Bien Unido and Bagacay port, Getafe which has operational control of Inabanga and Buenavista , Tubigon which has Clarin under it, 70 men to do two shifts is thinly ineffective. Despite the manpower complement problem, the PCG has detained 13 motorized bancas caught ferrying tourists even without the proper permits without permit after a crackdown barely a month ago. But to make the PCG more effective in assuring marine safety in Bohol and safeguard tourism, the move to engage local government units to designate a common jump-off point for boat for hires is now pushed.